September 19, 2013 -The sunspot number has dropped to its lowest level of the year. The quiet spell is a bit strange because 2013 is supposed to be a year of solar maximum, with lots of flares and sunspots. Supporting this view are data from NASA-supported observatories which show that the sun's magnetic field is poised to flip--a long-held sign that Solar Max has arrived. Nevertheless, solar activity is low. September 19, 2013- Located around 6000 light-years from Earth in the constellation of Scorpius (The Scorpion), the nebula formally known as IC 4628 is a huge region filled with gas and clumps of dark dust. 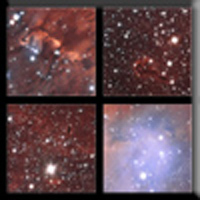 These gas clouds are star-forming regions, producing brilliant hot young stars. In visible light, these stars appear as a blue-white colour, but they also emit intense radiation in other parts of the spectrum — most notably in the ultraviolet. One possible explanation is that Solar Max is double-peaked and we are in the valley between peaks. 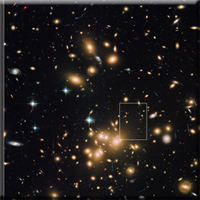 Hubble Finds Galaxy Cluster Abell 1689 Full of Giant Star Clusters..
September 12, 2013- NASA's Hubble Space Telescope has uncovered the largest known population of globular star clusters, an estimated 160,000, swarming like bees inside the crowded core of the giant grouping of galaxies Abell 1689. By comparison, our Milky Way galaxy hosts about 150 such clusters. 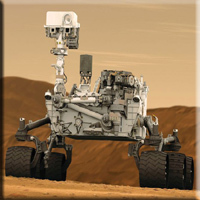 September 19, 2013- Data from NASA's Curiosity rover has revealed the Martian environment lacks methane. This is a surprise to researchers because previous data reported by U.S. and international scientists indicated positive detections. September 18, 2013- By analyzing the distinctive cracks lining the icy face of Europa, NASA scientists found evidence that this moon of Jupiter likely spun around a tilted axis at some point. This tilt could influence calculations of how much of Europa's history is recorded in its frozen shell, how much heat is generated by tides in its ocean, and even how long the ocean has been liquid. 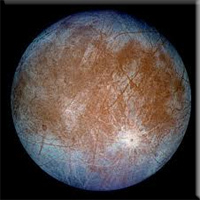 One of the mysteries of Europa is why the orientations of the long, straight cracks called lineaments have changed over time.